What makes TopLine Designer unique? Dan the man the developer of Topline Designer and Topline Manager from Topline Results Corp. where hi-tech and speed is everything, bought a new 2009 Pontiac G8 GT car last December 2009. A car he was looking at for over two years. As a Sage add-on development partner, TopLine Results has created innovative software solutions to help you maximize your CRM experience. TopLine Designer and TopLine Dash is a must have add-on for ACT, This is the word on the street. TopLine Results offers a FREE trial of our add-on software. Please use the trial period to evaluate the software. 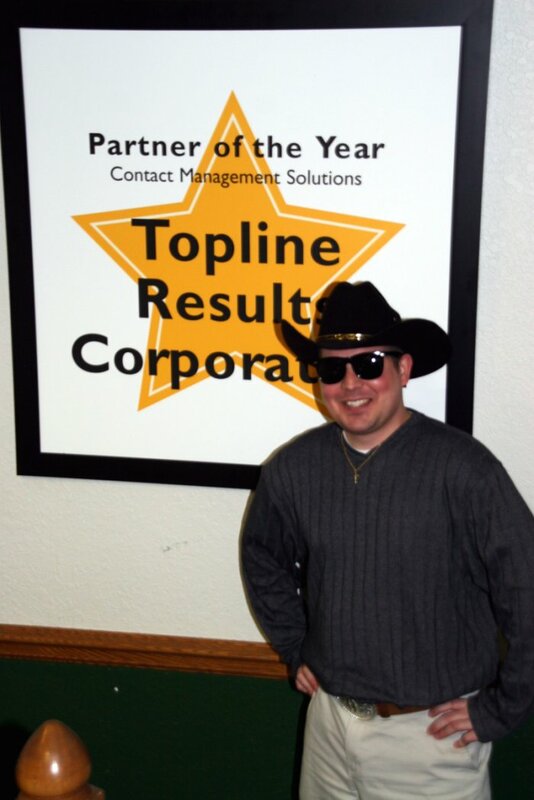 We highly recommend Topline Designer! ACT was revolutionized in version 10.03 with the development of Custom Tables. That means that users can now track just about anything in ACT – and associate it with a contact, group, company or even opportunity. The only problem is that ACT has not created a GUI (User Interface) for creating and managing these new Custom Tables. So a number of developers came up with some great tools to deal with this. And the Topline Designer is by far the best! It is stable! It allows for scripting! And the GUI (User Interface) is identical to the Topline Dashboard! Did we already say it is stable?! I love this tool! I have been able to provide my clients with the solutions they require, including custom scripting that allows for workflow and automation. And Accent Gold loves the developer, Dan Boehm! Topline has put out another top notch product for ACT 2010, and we are proud to be their top partner in Los Angeles and Southern California. If you need licenses, contact us for a 5% discount. We highly recommend using Topline Dashboard! Ability to include fields from multiple tables – for example both Activities AND Contacts. Drill-down on charts/graphs. Then highlight the records and hit “Go To Contact” in order to see the details. If you are in need, give us a buzz and save 5%!